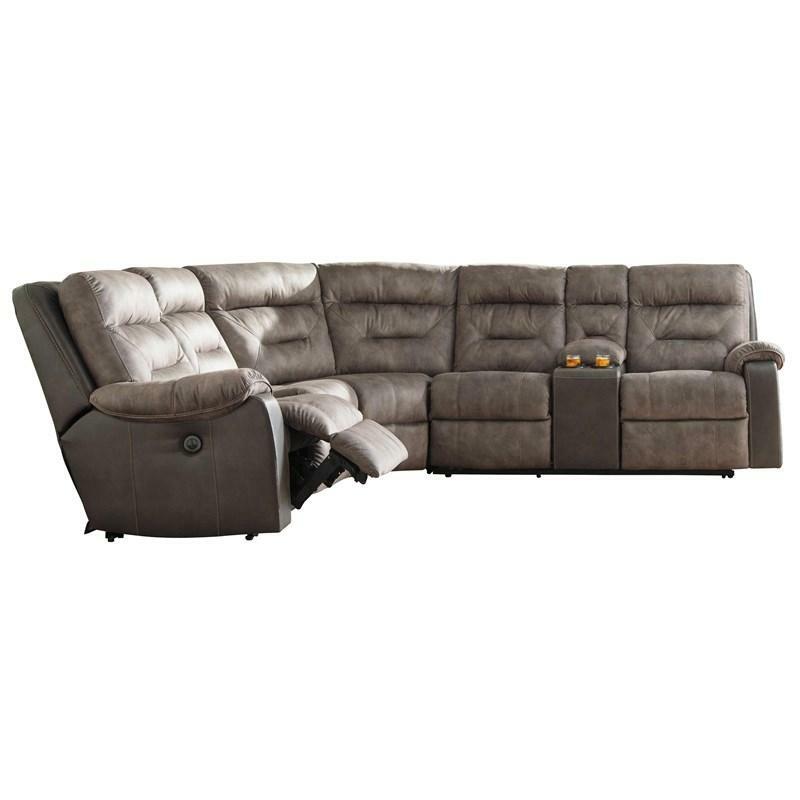 Fit for the comfort seeker in your household, the Hacklesbury power reclining sectional has that casually cool sensibility you love. 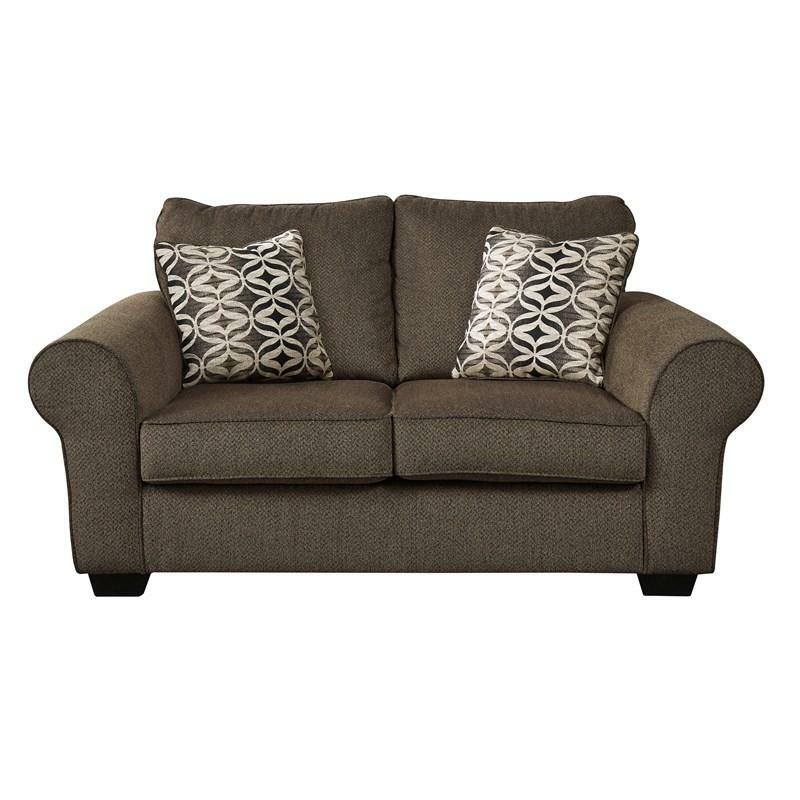 Two-tone inside/out upholstery combination makes things twice as interesting. 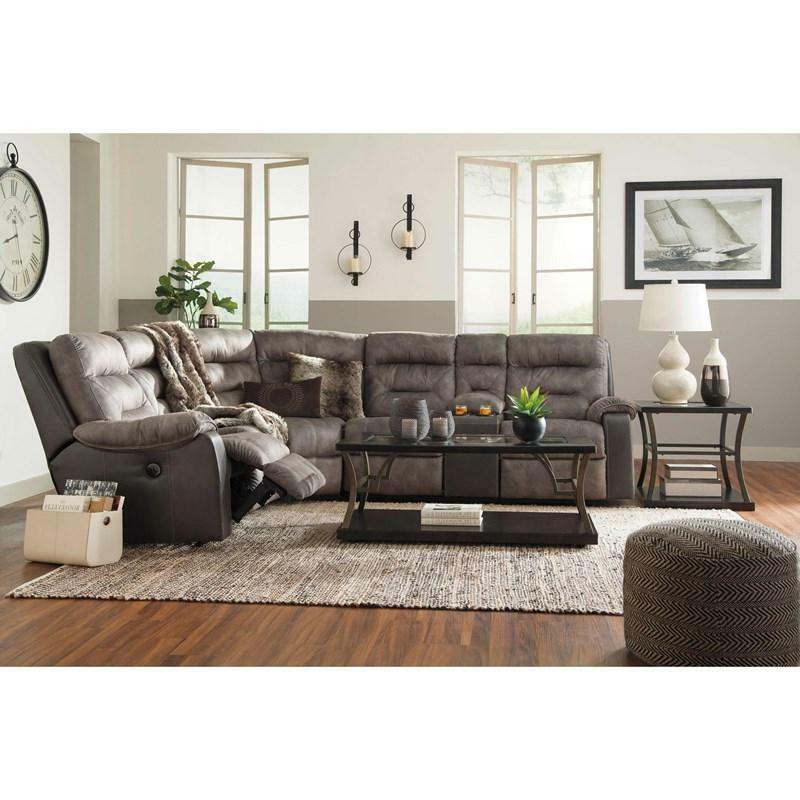 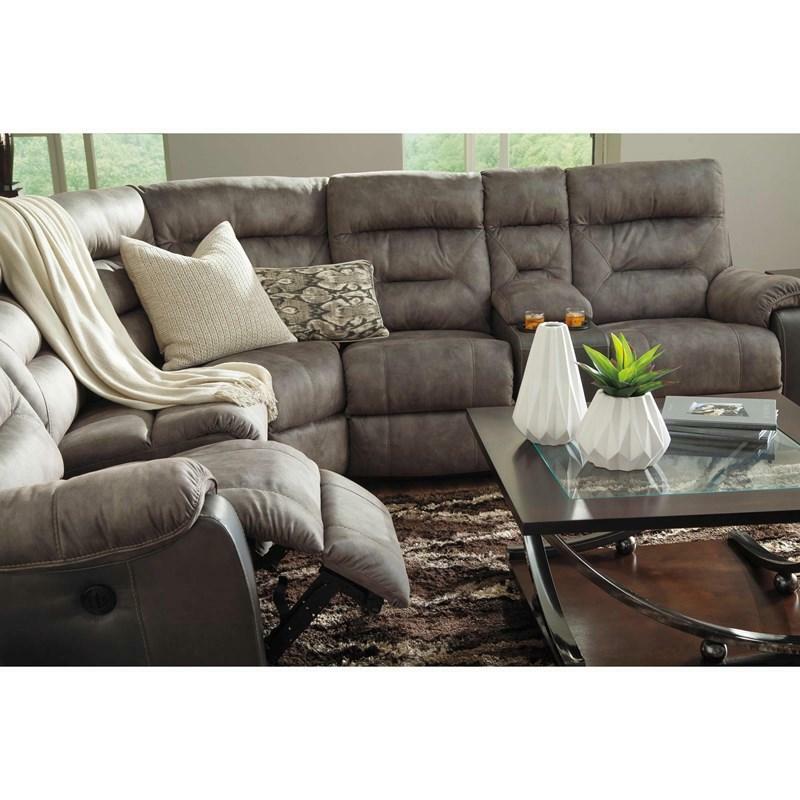 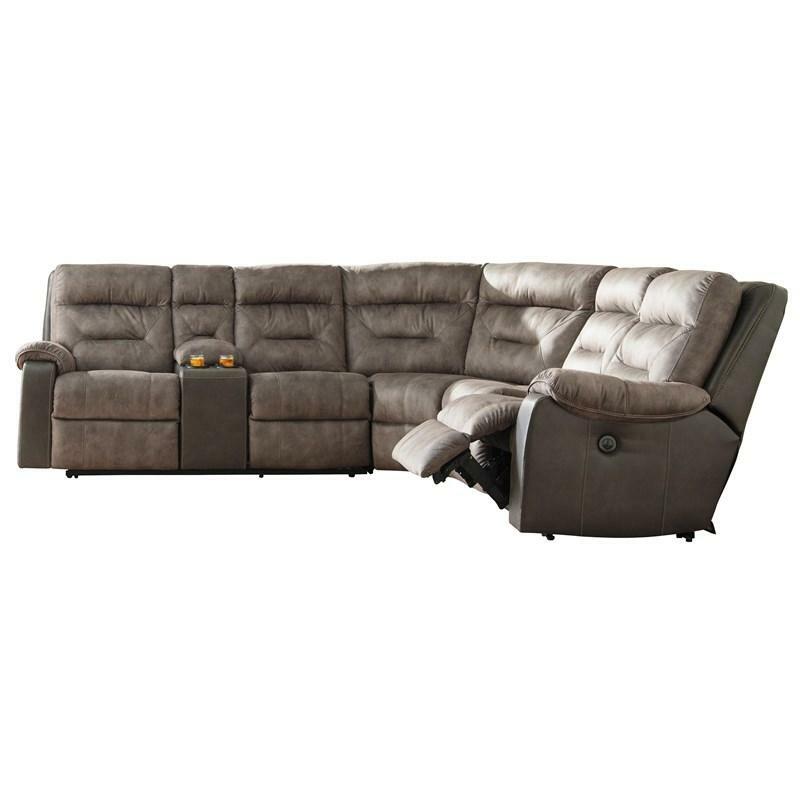 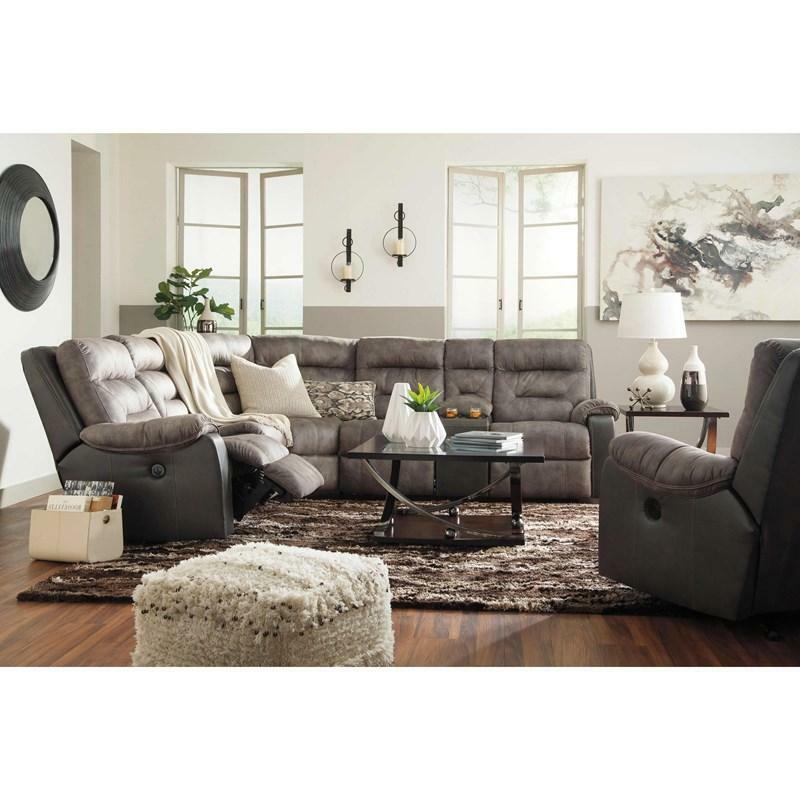 Contemporized channel back takes the bulk out of easy living, while wrapped pillow top armrests enhance the sensationally soft, supportive feel of this standout faux leather sectional. 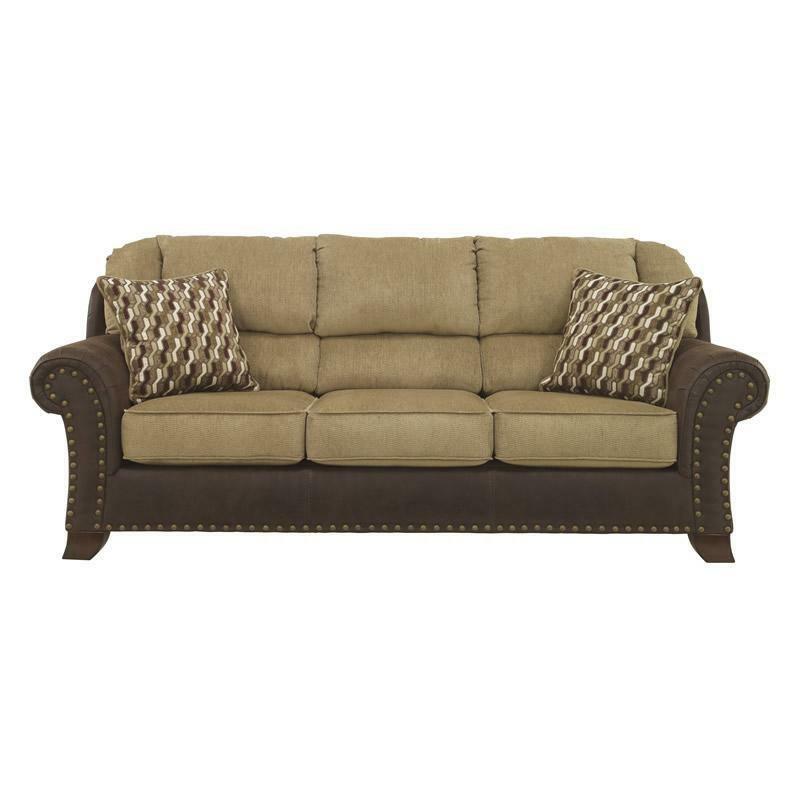 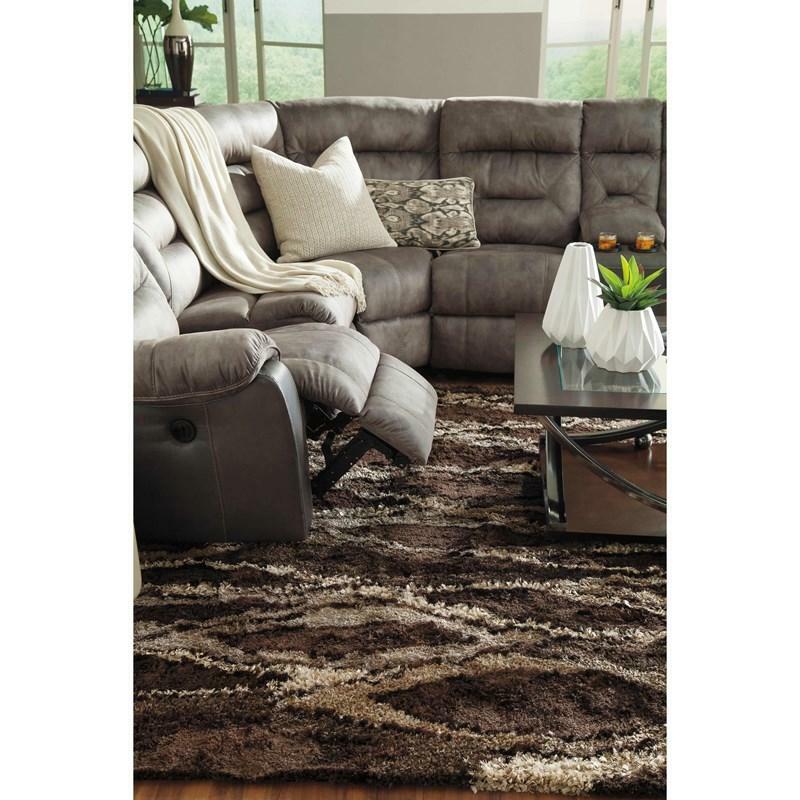 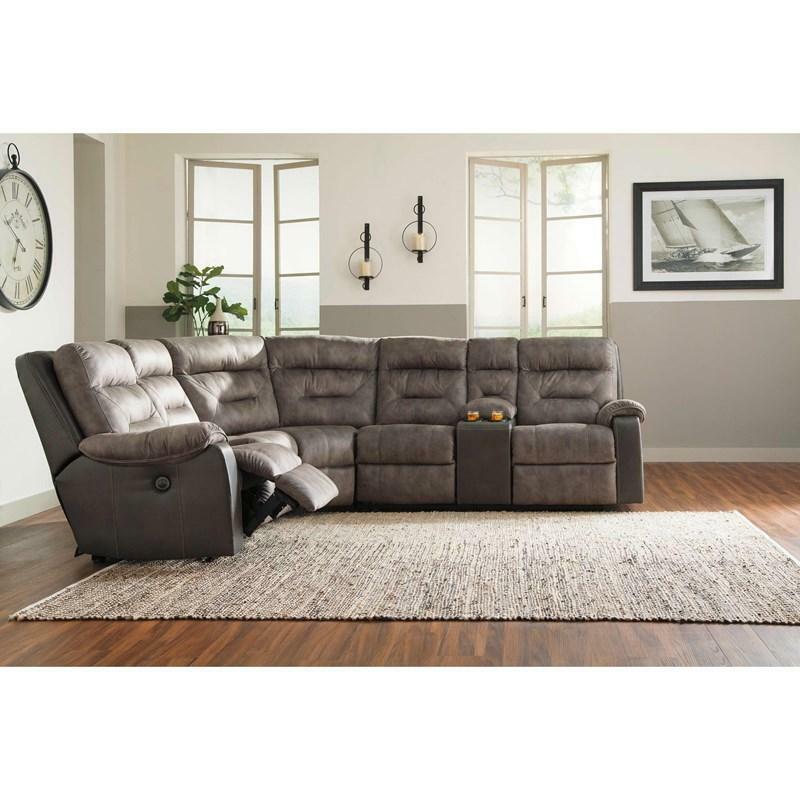 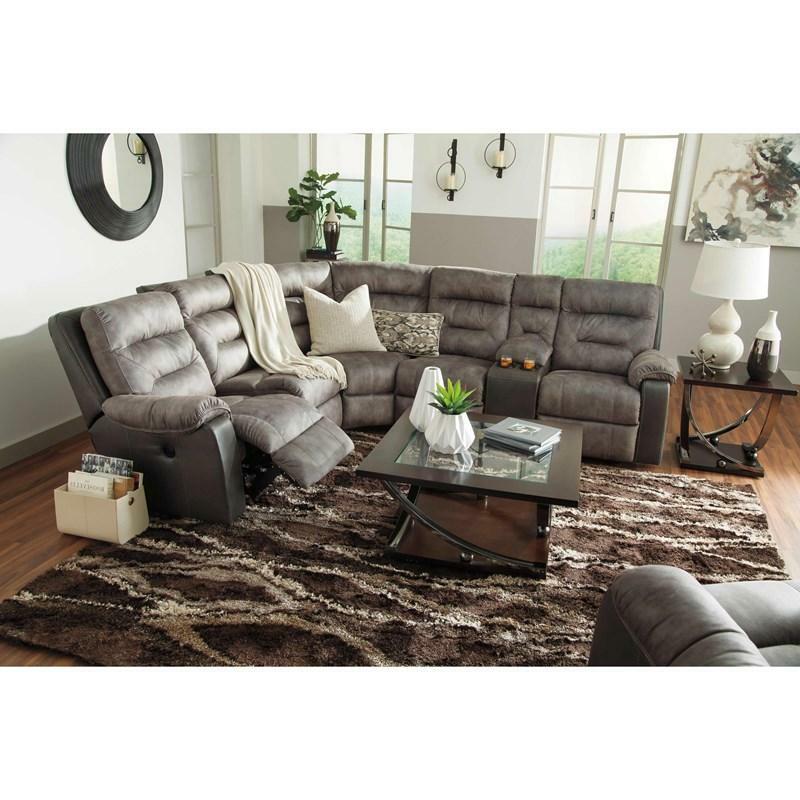 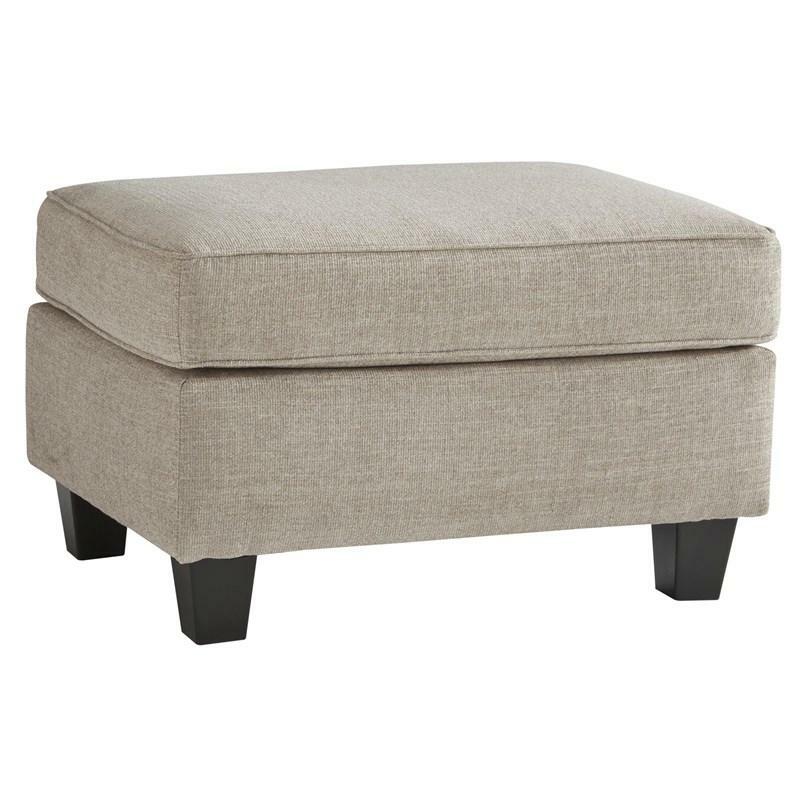 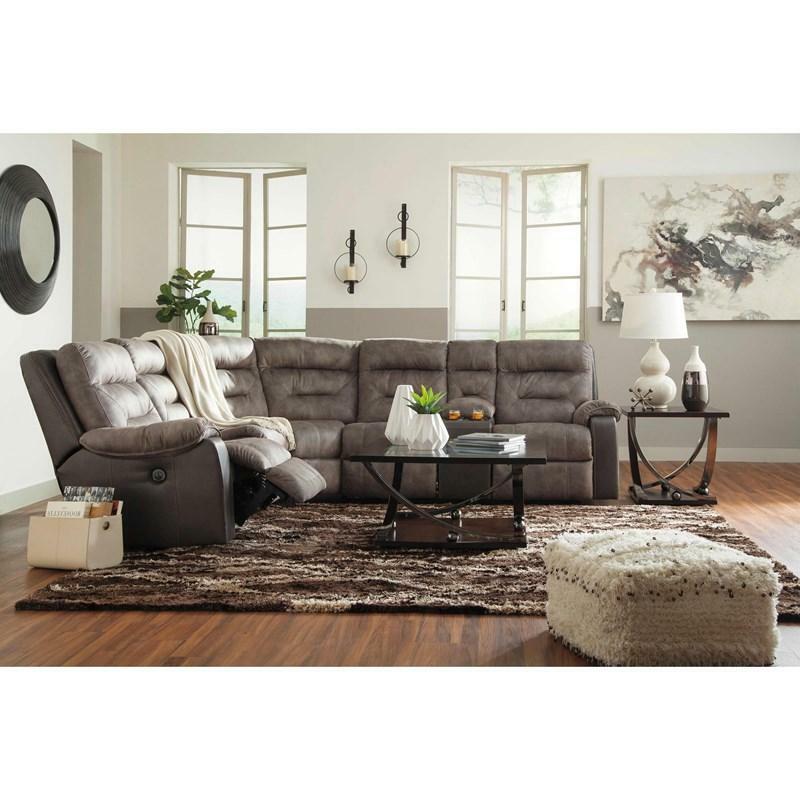 • Fully reclined length 71.00"
• Console opening 8.75" x 12.00" x 3.50"
Add comfort and style to your living space with the Nesso queen sofa sleeper featuring exposed feet with a faux wood finish and polyester textured chenille upholstery in walnut. 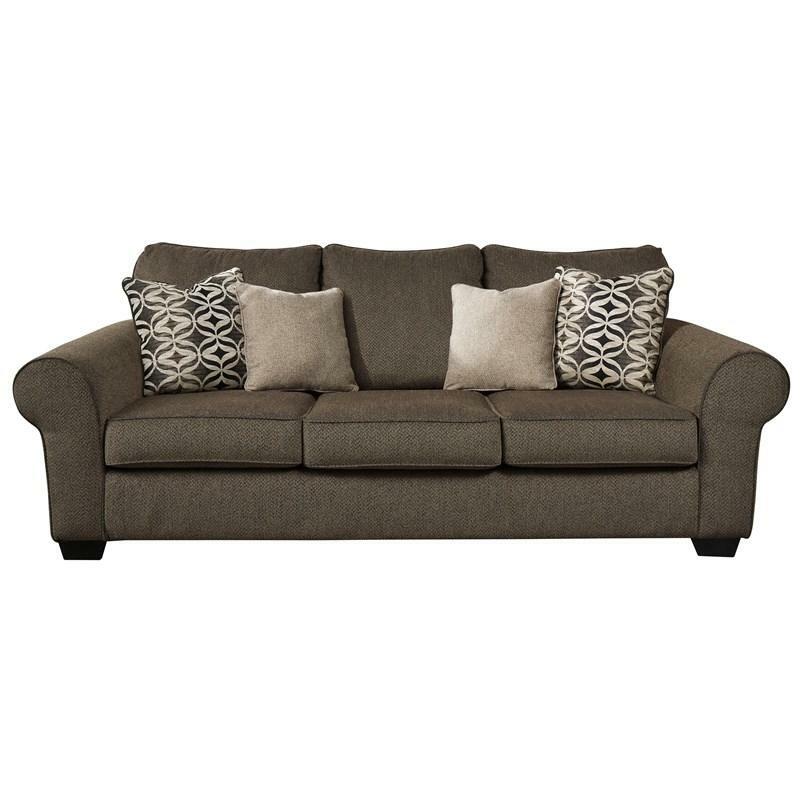 Add comfort and style to your living space with the Nesso loveseat featuring exposed feet with a faux wood finish and polyester textured chenille upholstery in walnut. 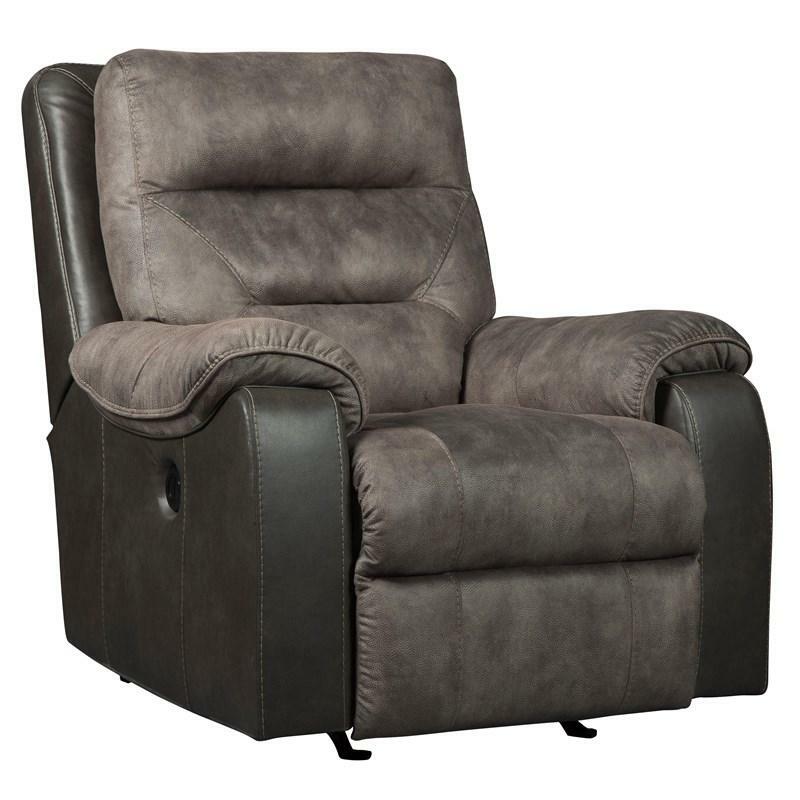 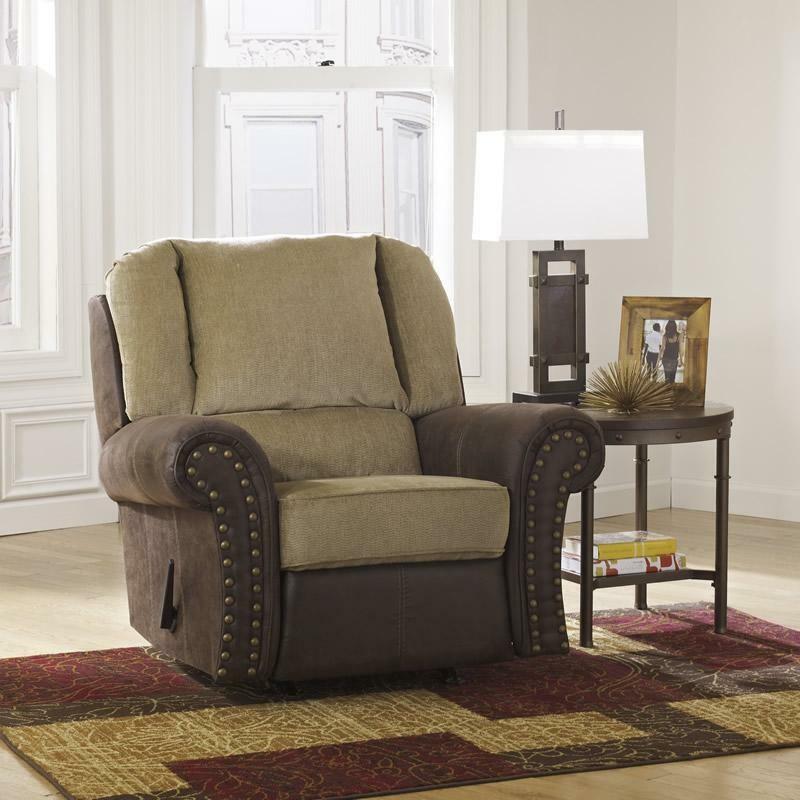 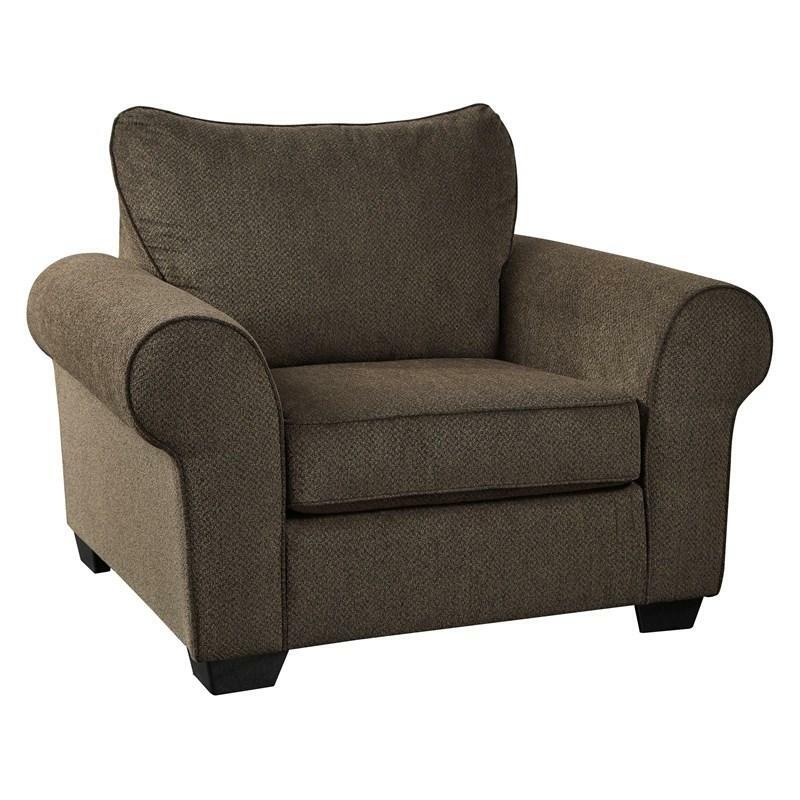 Add comfort and style to your living space with the Nesso chair and a half featuring exposed feet with a faux wood finish and polyester textured chenille upholstery in walnut.